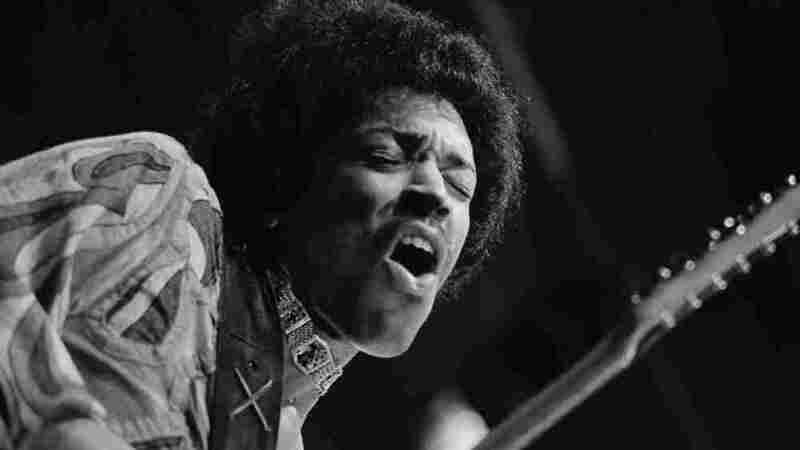 Only 1 Chance At A First Impression: Celebrating Great Musical Debuts : World Cafe Fifty years ago, the Jimi Hendrix Experience made about as tremendous a first impression as it gets with Are You Experienced? — but here are several more debuts that stack up. Jimi Hendrix Experience's Are You Experienced? was released 50 years ago Friday. As the old adage goes, "you never get a second chance to make a first impression." Fifty years ago — May 12, 1967 — the Jimi Hendrix Experience made about as tremendous a first impression as it gets. The band's first full-length record, Are You Experienced?, is widely considered one of the greatest debuts in rock and roll. It introduced audiences to pyrotechnic psychedelia, amps that were at once incendiary and melodic and an artist that would define the dreams of nearly anyone who picked up a guitar for years to come. We're celebrating the album's anniversary with a round-up of some of the greatest debuts in music. (At least, according to us.) But what makes a truly great debut? Maybe it's an album that becomes historically impactful by shaping the trend of future soundscapes — the way The Smiths shaped U.K. pop with the band's 1984 self-titled debut or Kanye West innovated hip-hop on The College Dropout. Maybe it's an album that goes so sharply against the grain of its time that it flops in the moment and is only heralded in retrospect, like The Velvet Underground & Nico. Maybe it's an album so well-loved that it eclipses all of the artist's future work and damns them to a career of trying to live up to that first time, like Licensed To Ill may have done to the Beastie Boys. Maybe it's a debut that introduces a fully-formed singular voice who becomes the stuff of legend, like Patti Smith on Horses or Elvis Presley's self-titled full-length debut in 1956. Maybe it's a combination of all of the above --or a different alchemy entirely. We've taken on the near-impossible task of assembling some of the greatest all-time debuts in the Spotify playlist below. Some of our picks may make us unpopular, but we're cool with that. Because unlike releasing a debut record, for us there's always next time to get it right.